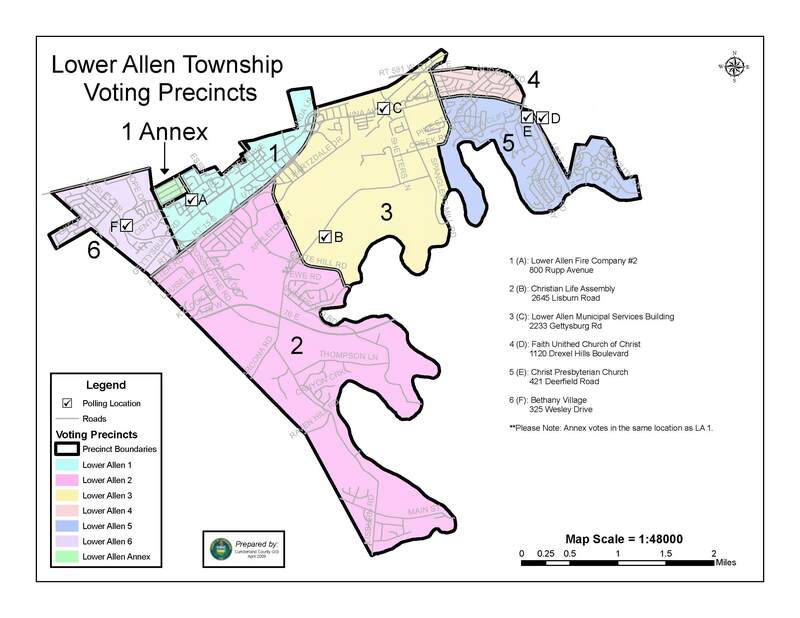 Max Stoner, Chairman called the meeting of the Lower Allen Township Development Authority to order at 6:00pm and announced Proof of Publication was available for review. Mr. EBY made a motion to approve the minutes of the November 19, 2018 meeting with a correction by Steven Miner, Solicitor. (Page 2 under: DISCUSSION AND POSSIBLE ACTION: AUTHORIZING LOWER ALLEN TOWNSHIP DEVELOPMENT AUTHORITY TO BECOME ADMINISTRATOR OF 5226 ROYAL DRIVE – Delete the following sentence, “Unfortunately, the judge ruled no to that petition”.) Mr. MARONE seconded the motion. Motion carried, 5-0. AUTHORIZE RESOLUTION 2018-01 to Approve the Issuance of a Guaranteed Project Note, Series of 2019, in the Maximum amount of $14,200,000, to Farmers and Merchants Trust Company; and to Authorize and Approve a Loan Agreement with the Bank; and to Authorize a Guaranty Agreement Amongst the Authority, the Township, and the Bank; to Authorize Proceedings with the Community Development Program for which Said Note is Being Issued; and to Authorize other Necessary Documents and Action. Peck of Concord Public Finance discussed the summary of the proposals for the Bon-Ton Redevelopment Project. He explained the best proposal was F & M Trust at a firm fixed rate of 4.30%. He makes the recommendation to accept this proposal. There are two (2) minor conditions as stated in the proposal: 1) Requires depository relationship for term of the note as related to the project and 2) Bank to have the opportunity to place financing signage at the project during the term of the note. Jennifer Caron of Ecker and Seamans, Bond Attorney explained she was there to present the resolution that was circulated to the Board via email. This resolution authorizes the Authority to proceed with what has been known as the Bon-Ton Project, authorizes and approves the issuance of the guaranteed project note Series of 2019 which will be issued on a Federally taxable basis on the maximum amount of the $14,200,000; it authorizes and accepts the proposal that Concord Public Finance just explained to you that all of the terms and conditions are accepted by this resolution. This resolution also authorizes the execution and acceptance of a loan agreement which will be one of the documents that are signed and delivered at closing. This resolution also authorizes the guarantee agreement which will be a document between this Authority, the Township and the bank. We are attending the Board of Commissioners meeting later this evening to present the guarantee ordinance which will authorize the Township’s execution and delivery of the guarantee agreement as well. Lastly, in this resolution is a general authorization for any other necessary documents and one of those documents which would include an application for assistance which will be signed tonight as soon as this resolution is accepted and that application will be presented to and filed with the Department of Community and Economic Development. Mr. MARONE made a motion to approve the resolution as documented. Mr. EBY seconded this motion. Motion carried, 5-0. ACTION: APPROVE INDUSTRIAL DEVELOPMENT AUTHORITY AUDIT REPORTS FOR 2015, 2016, AND 2017 WITH THE DEPARTMENT OF COMMUNITY AND ECONOMIC DEVELOPMENT. Mrs. Trone explained as the Authority is filing an application for assistance to undertake this loan with the Department of Community and Economic Development it was also advised that we submit our audit reports to the Industrial Development Authority for 2015, 2016 and 2017 and the documents do need signatures. 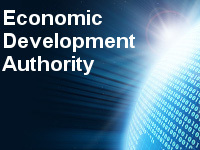 Mr. EBY made a motion to approve for signature the 2015, 2016 and 2017 IDA (Industrial Development Authority) reports to the Commonwealth of PA Department of Community and Economic Development. Mr. MARONE seconded the motion. Motion carried, 5-0. Solicitor Miner reported to the Board concerning the hearing on 5226 Royal Drive Property held on December 3rd. Judge Brubaker granted our motion to remove the present administrator and appoint someone in her place. The first choice would be to have the other siblings act in that stead and he also has inquired of the Cumberland County Redevelopment Authority to see if they would be willing to serve as administrator. At this point, Mr. Miner has no reply from this request. Therefore the first piece is done with the removal of the administrator; the next step is to have someone appointed to be administrator. Mr. Miner prefers it will be Cumberland County Redevelopment Authority. If that does not work out, he will request help from this Board. Discussion ensued. Mrs. Trone explained the Board will take possession of this property on January 19th, 2019 in the middle of the winter; therefore, she is asking permission to pursue quotes for insurance and to arrange winter maintenance. Mr. EBY made a motion to authorize staff to pursue quotes for insurance and winter maintenance for the Bon Ton property. Mr. YOUNG seconded the motion. Motion carried, 5-0.